2019 / 20 Day Skipper, ICC, PowerBoat Level 2, Advanced PowerBoat Scotland. 2019/20 Competent Crew, Day Skipper, PowerBoat Level 1 and 2 Courses Firth of Clyde, Scotland. Book now for Season 2019/20! Competent Crew Day Skipper Charter Licence! RYA Competent Crew & Day Skippers Sailing Courses West Coast of Scotland - Click! 1st ScotSail Training is based on the Firth of Clyde at Largs Yacht Haven on the west coast of Scotland, for RYA Competent Crew and Day Skipper Courses Scotland. Delivering the full range of RYA Practical and Shorebased Navigation Theory Courses in Scotland, as well as the RYA National PowerBoat Scheme at its RYA Centre at Loch Lomond, ScotSail is one of Scotlands largest RYA Training Centres. The north of England is served by ScotSails RYA Centre at Preston Marina, Lancashire. Day Skipper Course Scotland. 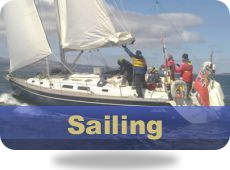 Operating with a fleet of modern sailing yachts and power boats in conjunction with classroom facilities of the same standard, ScotSail can offer RYA Sailing Courses from basic beginner level and gift vouchers, through Competent Crew and Day Skipper to advanced courses and MCA/RYA Examinations for Coastal Skipper and Yachtmaster. West Coast of Scotland courses on the Clyde, West of Scotland. 1st ScotSail Training runs all of the RYA Practical and Shorebased Sailing Courses and has dedicated classroom lecture facilities at its Training Centres: LargsCentre, and can teach up to 15-18 students on any one course. Courses run include; RYA Start Yachting, Competent Crew Day Skipper, Coastal Skipper, Yachtmaster® Offshore, Practical & Shorebased courses. also including VHF Marine Radio SRC (Short-Range Certificate) Diesel Engine Maintenance, First Aid, and Basic Navigation & Safety. Established in 2002, 1st ScotSail Training has grown to be one of the largest RYA 'Sail Cruising' Training Centres based on Scotland's West Coast. 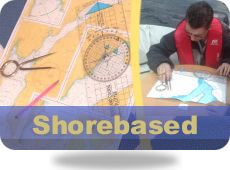 In 2012-16, we helped hundreds of people gain their RYA qualifications through practical training courses on our dedicated training yachts and, we ran over 20 RYA Shorebased theory navigation classes throughout the year, including Day Skipper, Coastal / Yachtmaster®, VHF / DSC Radio, Diesel Engine Maintenance and First Aid Courses. "...Practical Courses run every week and weekend, throughout the year..."
In Season 2016, 1st ScotSail Training has helped even more students gain their qualifications, and has even brought in extra Training Yachts into their fleet, as demand for RYA Training Courses contines to grow. Be it Start Yachting, Competent Crew, Day Skipper Theory / Day Skipper Practical, Coastal Skipper Theory, Coastal Skipper Practical, Yachtmaster Offshore, VHF Marine Radio (SRC), VHF DSC update, Diesel Maintenance, First Aid or simply just own-boat tuition 1st ScotSail Training can help you. RYA Level 2 PowerBoat Courses. The Royal Yachting Association (RYA) training scheme is the finest anywhere in the world as it sets and provides the standards for all their approved sailing centres running courses such as RYA Competent Crew course, RYA Day skipper course and RYA Coastal skipper course. RIB Charter Scotland. 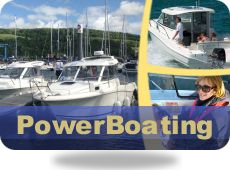 Powerboat Hire Scotland, Speedboat Hire Scotland and RYA PowerBoat Courses are held at Loch Lomond, with RIB or PowerBoat Charter available on the Clyde, upon request. Our RYA Training Centres and Sailing Schools in Scotland and the North of England offer a full range of sailing courses in Scotland as well as RYA Shorebased Theory Courses, starting with a beginner’s Start Yachting or Competent Crew sailing course progressing to the RYA Day Skipper sailing course and for the more experienced the RYA Coastal Skipper sailing course leading to MCA Coastal and Yachtmaster® preparation for the exam and Cruising Instructor weekends. 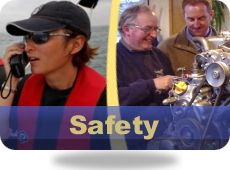 The separate PrestonCentre offers RYA Shorebased Theory and also the One-Day Safety Courses, such as VHF Radio, Diesel Engine and First Aid. RYA National PowerBoat Course. Scotland. "...Theory Courses run at centres in Largs"
along with Marine Radio Short Range certificate VHF / DSC Radio, First aid and Diesel engine - so if you are looking at sailing schools Scotland & the UK why not come and learn to sail scotland with ScotSail. 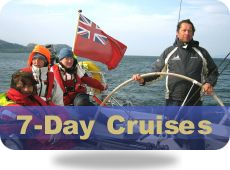 RYA Day Skipper Courses Scotland. All PowerBoat courses are undertaken on a fast and safe planing cruiser. CEVNI Certification for inland waterways is also available. ScotSail is the leading operator of RYA PowerBoat and Sailing Training Courses in Scotland. Is an ideal location to undetake one of our RYA sailing courses. You sail to fantastic places living on board the yacht with other crew members sailing each day to different locations Our RYA sailing school in Scotland allows you to visit wonderful places such as the Isle of Arran, East Loch Tarbert, Rothesay, Kyles of Bute and Milport. Simply put the choice is endless. Most of our RYA sailing courses are undertaken on our Hanse 411, First 40.7 or Fantasia 37 . Bareboat Yacht Charter in Scotland - Click! Day skipper course, day skipper practical, day skipper certificate, competent crew course, sailing holiday scotland, yacht charter scotland, yacht charters scotland, rya day skipper courses, rya day skippers course, rya coastal skipper courses, sailing gift vouchers, sailing gifts, sailing gift ideas, sailing gift experience, powerboat courses, rya powerboat level two course, powerboat gift vouchers, RYA Start Yachting Course Scotland, RYA Competent Crew Course Scotland, RYA Day Skipper Course Scotland, RYA Coastal Skipper Course Scotland, RYA Day Skipper Shorebased Theory Navigation Course Scotland, RYA Coastal / Yachtmaster® Offshore Shorebased Theory Navigation Course Scotland, RYA VHF Marine Radio (SRC) Course Scotland, RYA Diesel Engine Maintenance Course Scotland, RYA First Aid Course Scotland, Learn to sail Scotland, Sailing Schools Scotland, Sailing Courses Scotland, RYA Shorebased Courses Scotland, RYA Navigation Courses Scotland, Sail Training Scotland, Yachting Courses Scotland. 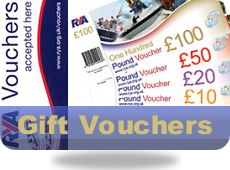 RYA National PowerBoat Courses Scotland, PowerBoat Level 2 Courses Scotland. Sitemap. Calls to 0845 numbers are charged at the local rate of 4p/min and will NOT incur a premium rate. Calls from mobiles may incur a charge. Contact your mobile service provider for details.